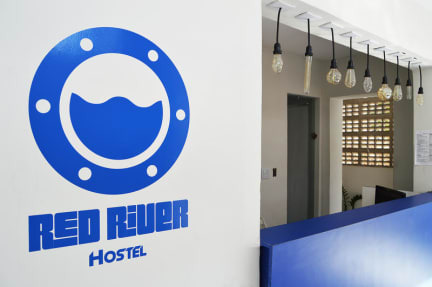 Red River Hostel v Salvador, Brazílie: Zarezervujte nyní! There are not lacking attractions, such as the Casa do Rio Vermelho - the former residence of the couple Zélia Gattai and Jorge Amado, which currently functions as a memorial that tells the story of the writers; The Mariquita and Santana squares, with several bars and restaurants, as well as several regional food stalls and handicrafts; and the former Mercado do Peixe (Fish Market), now called Vila Caramuru, a gastronomic center for all tastes, including the musical ones. 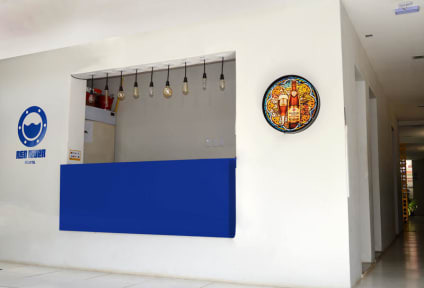 Here is also a space where you can have fun: parties to the sound of good music, beautiful people, and very cold beer. Enjoy our sale, where you buy two beers or caipirinha for the price of one! Rio Vermelho it is located between the neighborhoods of Ondina and Amaralina, is a center of tourism and nightlife of Salvador bohemia, the Red River Hostel is next to the Rio Vermelho Beach, where annually occurs the Yemanja Festival; And Buracão Beach, a haven of tranquillity amid the hustle and bustle of the city's sea shore, with lots of beautiful people, peace, and excellent waves for surfing. At Red River Hostel, you will have a place to call home: always clean and organized environment, air-conditioned dorms, WiFi in all rooms and common areas, social area with TV space, shared bathrooms, balcony, and a beautiful space integrating kitchen and garden where you can talk with new friends, make your best meals, or simply relax and pass the time.